Physiology provides a necessary background preparation for graduate work in Physiology and related areas; for the study of Pharmacology; for the teaching of Biological Science in secondary schools; or for subsequent training in Medicine, Dentistry, Pharmacy, Nursing, and the Health Sciences in general. Physiologists are needed in hospitals and schools of medicine as teachers and research personnel, as well as in research institutes and government laboratories. Other outlets would be agriculture and veterinary schools, in military research establishments and in pharmaceutical industries. The development of air and space travel, the exploration of the continental shelf, the development of northern regions, an increased emphasis on exercise and fitness, all provide problems and research opportunities for the person trained in Physiology. At the research level, Physiology covers a variety of specialties each with very different technical and analytical methods. There are eight major areas: Cardiovascular & Renal, Membrane Physiology, Metabolism, Regulatory Peptides, Reproduction/Development, Respiratory Physiology, Sensory-Motor Physiology, and Theoretical Physiology. Skill in other basic sciences is an advantage and the undergraduate student who intends to specialize in Physiology will find it desirable to supplement the program by an appropriate selection of courses from Biochemistry, Chemistry, Computer Science, Mathematics, Physics, Statistics, Zoology. PSL201Y1: This course is intended to be a terminal course. A PSL 201Y credit does not count towards the PSL Specialist Programs, and excludes enrolment in (PSL300H1, PSL301H1). Students who wish to subsequently enroll in 400 level PSL courses should take (PSL300H1, PSL301H1), NOT PSL201Y. 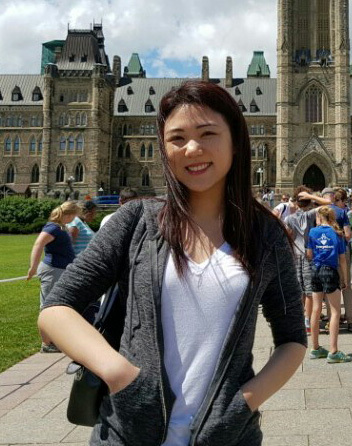 Name: Stephanie Kim completed an Honours Bachelor of Science degree with a double major in Physiology and Nutritional Sciences. Stephanie started working in Dr. Denise Belsham’s Lab upon receiving the Undergraduate Research Opportunity Program (UROP) award in the summer prior to her fourth year. Her work focused on microglia and the effect of saturated fatty acid palmitate on its inflammatory profile. She continued her research as part of the fourth year project course PSL498Y, and also in the summer after her convocation upon receiving the Division of Teaching Labs Research Award. She presented her work at multiple research conferences including Ontario Biology Day, Frontiers in Physiology, and the Neurometabolic Club Meeting, in which she competed with graduate level students. Her contribution to the lab currently includes a review paper discussing the mechanism of diet-induced inflammation in the hypothalamus. Besides academics, Stephanie was engaged in various extracurricular activities throughout her undergraduate career, including volunteering in the community, mentoring lower year students, and being involved in students clubs and associations, particularly the Undergraduate Physiology Students’ Association (UPSA). As a Director of External Affairs and a Co-President in her third and fourth year, respectively, she not only partook in improving the learning experience of fellow physiology students, but also in allowing her peers’ achievements to be recognized by coordinating the UPSA Community involvement awards, UPSA apparel design contest, and UPSA Charity Dodgeball.